The Emergency Services Training Centre has been home to numerous film and media companies. 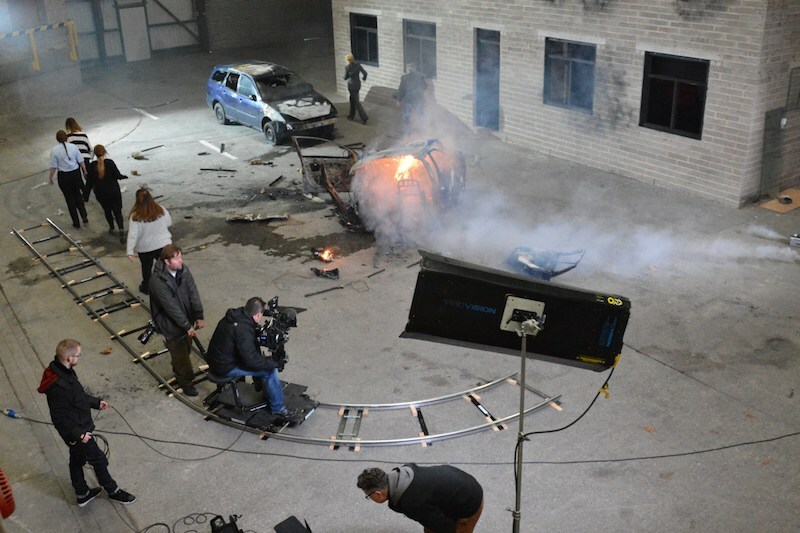 Our secure 4.5 acre facility also allows Film and TV production companies the space to create their film sets in a safe and confidential environment complete with meeting rooms, holding areas for extras. The makeup room and casualty simulation area is well equipped with staff who can assist in the reconstruction of wounds and injuries. 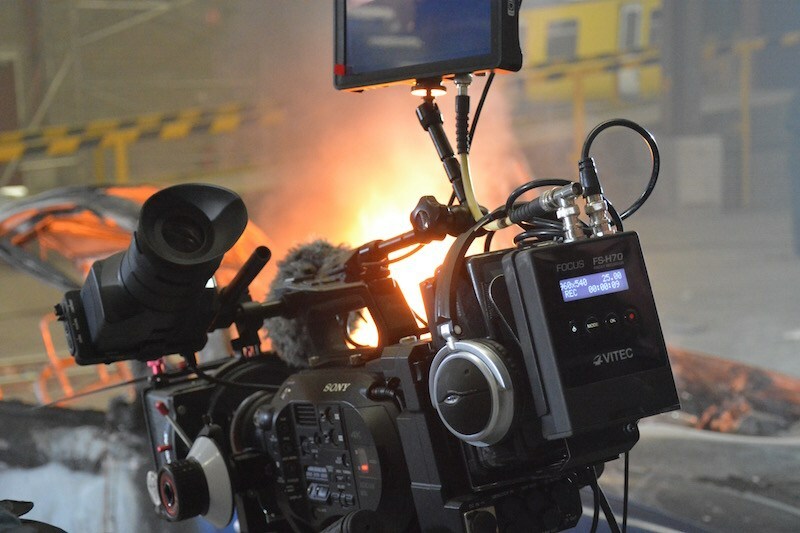 The fire house can replicate a blazing building where filming can be conducted in a safe controlled environment. Staff at the centre have all worked in the Emergency Services arena and can share their own experiences with your team allowing for in depth advice and support. 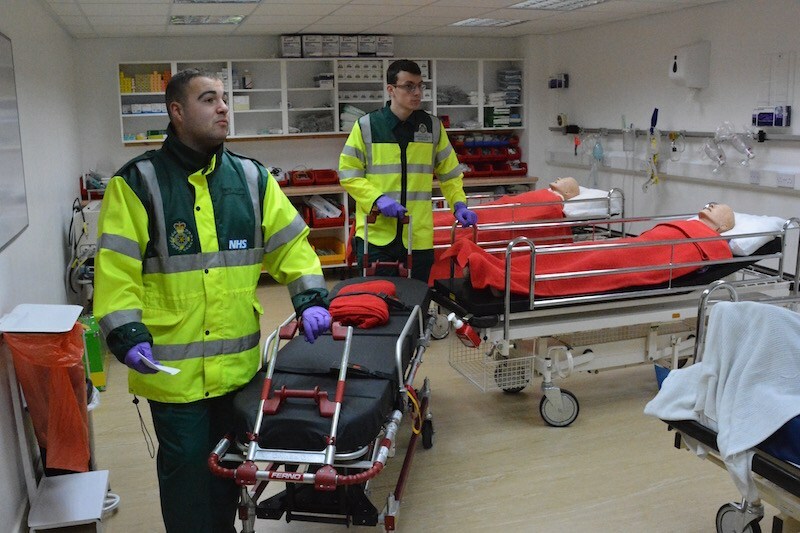 The Accident and Emergency Department has all the necessary equipment and staffing to make the filming light work. Staff are at hand to help and advise. Our modern fleet of emergency services vehicles, props, replica A&E Department, uniformed clinical and emergency services professionals give your filming that much sought after authenticity. 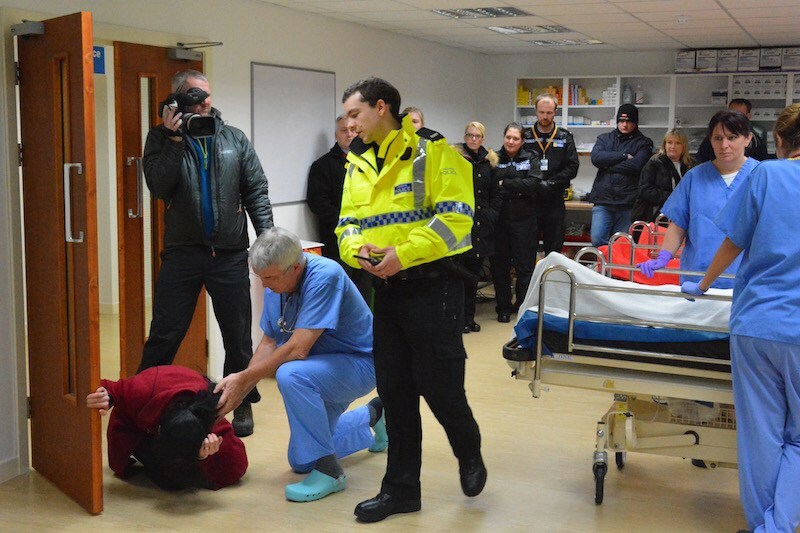 We can simulate road traffic collisions including an accident involving our cars/trucks/motorcycles/railway carriages or a multi-casualty motorway pile up. Our four bedroom ‘Skills House’ is ideal for creating domestic or hotel scenes including blast or fire scenarios. 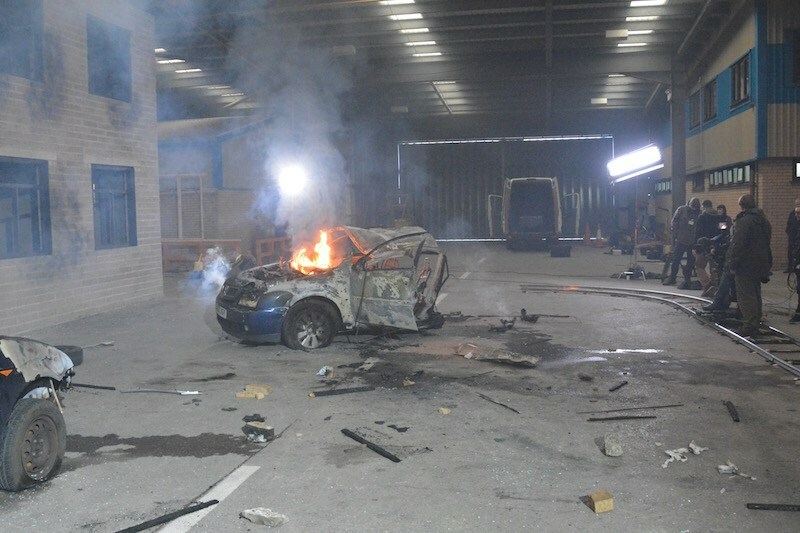 State of the art pyrotechnics, theatre make up and synthetic smoke machines are all available to add that realism that is usually only found in a genuine emergency situation. Please get in touch to discuss your requirements – we are confident we can create your bespoke scenario. The programme concentrated on the Pompeii Worm. The worm has the ability to withstand extremely hot environments due to its bacterial coating. The task was see if a human could withstand a similar environment. Andy Torbet was placed in a purpose built pod which engulfed his body in flames to simulate the pompeii worm’s environment. Part of the training for the police firearms officers was conducted at the Emergency Services Training Centre. We would like to take this opportunity to thank the Victoria Derbyshire BBC series which followed the students through their training and the selection process. For more information or to discuss your requirements, please call us on 0151 638 3897.